(Disponible en Français) The scientific cooperation between Hong-Kong and France is going into high gear thanks to the new « France-HKUST Innovation Hub » (HKUST, Hong-Kong University of Science and Technology). The platform was inaugurated on March 24th, 2017 at Lee Shau Kee Campus. 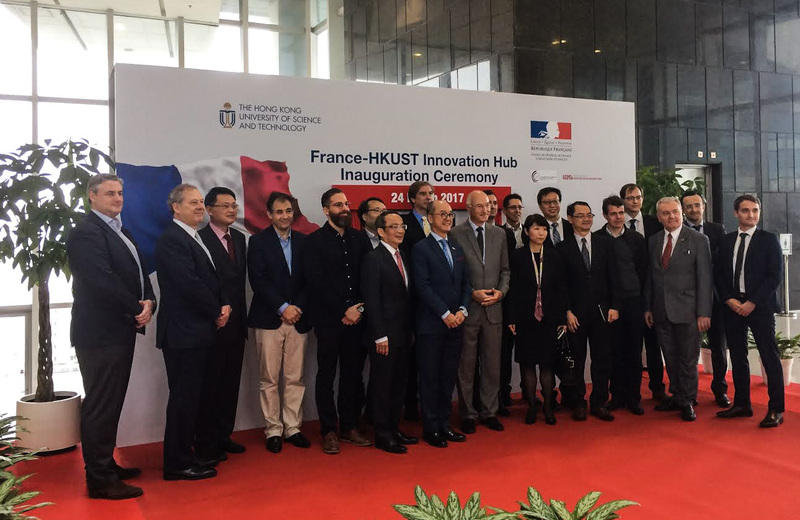 It is the first time that the French government is joining forces with a Hong Kong University in such an innovation program. This strong commitment reflects the long term vision on both sides and the willingness to put best efforts to implement and develop applied research projects in tandem. Incubator of ideas, the multicultural hub aims to provide a one-stop platform to enhance partnerships in education, science and technology. « Matching the talent of HKUST students and the experience and business culture of the French industry is very exciting. We see great potential in this innovation hub for the French companies and for the students, » says Eric Berti, Consulate General of France in Hong-Kong and Macao. One has to note that the French companies are keen to recruit Asian talents and explore technological cooperations with them. The 2014 collaborative agreement between HKUST and Thales, in order to boost the expansion of smart cities in the region, is a case in point. « To this extent, we have been selected by the Innovation and Technology Commission (ITC) of the Special Administrative Region of Hong-Kong ( HKSAR) for the codevelopment of a « Big Data » platform for smart transportation based on heterogeneous data sources, » explains Ludovic Lang, from Thales Transport and Security ( Hong-Kong) Ltd. Similarly, Rerina Or, President Hong-Kong at Schneider Electric (Hong-Kong Ltd), reveals that her group and HKUST have recently signed a Memorandum of Understanding « with the aim of drawing upon the highest level of expertise to advance loT (internet of Things) solution. 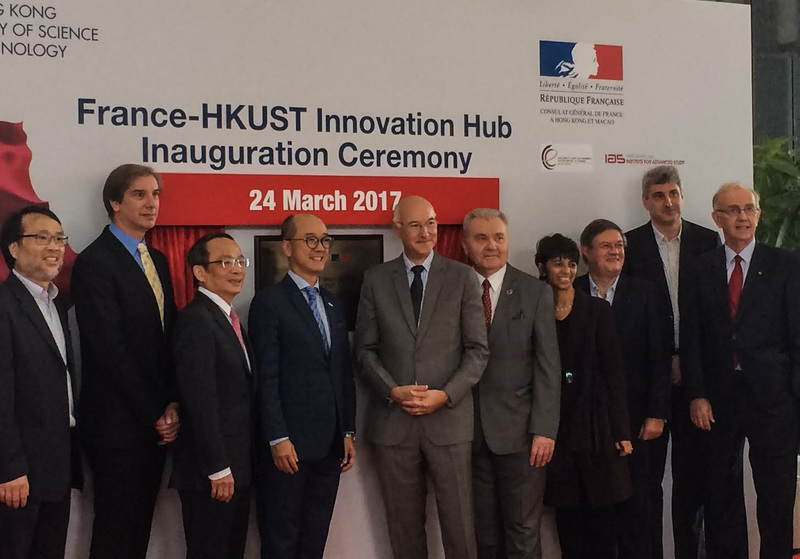 » The « France-HKUST Innovation Hub » is also a success leverage in the biology field. According to Alexandre Peurichard, Asia operations manager at InvivoGen, a French biotechnology company (which joined Hong-Kong Science and Technology Park in 2014): « At the forefront of life science innovation, we are a partner of choice for academic researchers. Taking part of the “France-HKUST Innovation Hub” is a great opportunity for us to connect Hong Kong scientific community. » The C.N.R.S. (National Centre for Scientific Research), a French government-funded research organization, is among the institutional partners of the new hub as well. This linkage “will most probably help the CNRS strategy in China to develop links with this university, as well as to foster R&D collaboration projects between public and private laboratories like international Mixt Units that exist in Shanghai or in Singapore,” thinks Antoine Mynard, CNRS China Office Director. « This initiative signifies the dedication and devotion of both sides to innovation and technology research. Our mission and our vision match with each other’s, » comments on Prof Tony F Chan, President of HKUST. As an eminent researcher, he has played a key role in the « France-HKUST Innovation Hub » creation. Before joining HKUST in 2009, Tony F Chan was Assistant Director of the Mathematical and Physical Sciences Directorate at the US National Science Foundation. He guided and managed research funding in astronomy, physics, chemistry, mathematical science and material science. Also, he was one of the principal investigators who made the proposal to the NSF to form the Institute of Pure and Applied Mathematics, and served as its Director from 2000-2001. In this context, it went without saying that HKUST invited the famous French mathematician Jean-Pierre Bourguignon to attend the inaugural ceremony and give a lecture. President of the European Research Council (ERC), he is the former Director of the IHES (Institute for High Scientific Studies) and the former Research Director of the C.N.R.S. in France. The success was there. The HKUST students – and even some high school students -, gathered in large numbers to savor his lecture: « When Fundamental Discoveries Meet Daily Life ». Now, the chances are high that Hong Kong’s vocations for the mathematical research are going to increase.